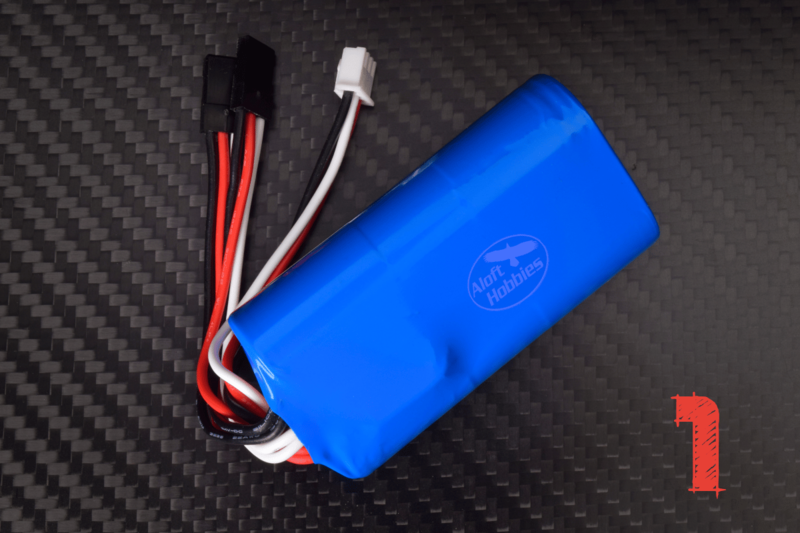 Lisenby batteries are an excellent receiver battery for slope planes, thermal gliders, 500+ mph DS ships, or as a stand alone receiver pack in a powered aircraft. 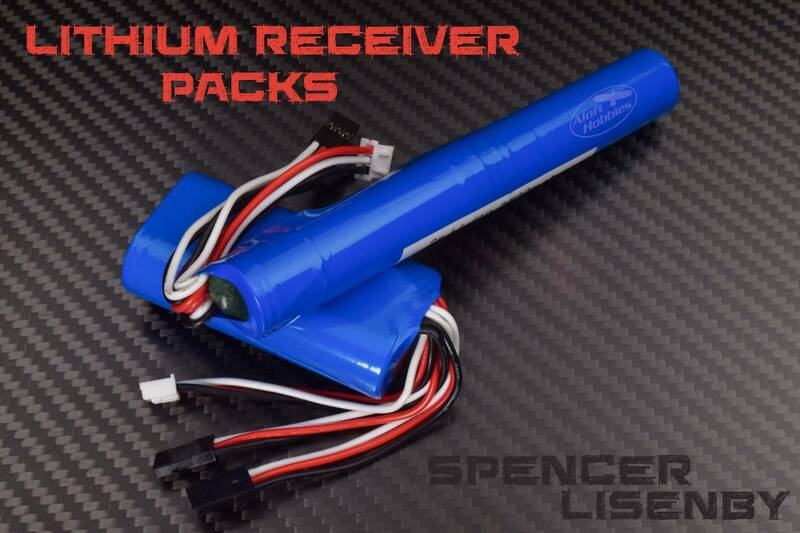 Designed and used by dynamic soaring world speed record holder Spencer Lisenby; This receiver pack consists of two lithium 18650 cells, connected in series, providing a 7.4V nominal output with maximum current output of 10A. The battery features two individual supply leads utilizing 22 gauge silicone insulated wire terminated with JR style plugs. The advantage of using two supply leads simultaneously is that the power enters into the receiver over two pairs of plugs / PC board traces instead of one, helpling to prevent receiver failure due to excessive current draw. There is a third set of leads and those are the balance plug for charging. While this pack can support a 545mph DS rocket, it also makes an excellent battery for slope ships, thermal gliders or as a stand alone receiver pack in powered aircraft. 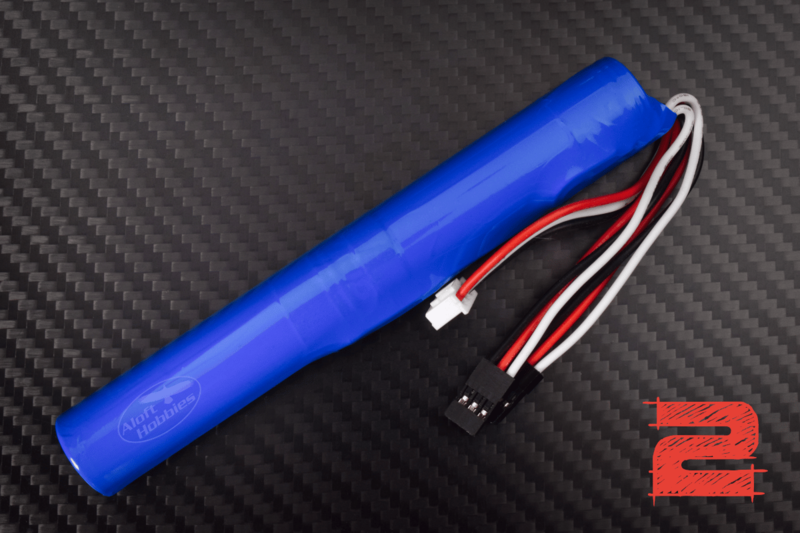 This pack measures about 8.4V when fully charged so you will need to be sure your receiver and servos are designed for that voltage range; If not you will need to use a BEC (voltage regulator) to drop the voltage to the appropriate range for your gear. The packs are available in two form factors, parallel side by side or as a stick configuration. Both packs are electrically identical.